More than a third of businesses have already seen positive results. Businesses all over the world are increasingly enrolling in digital transformation, and the positive effects are already showing. This is according to a new Fujitsu report, which polled business leaders in 15 countries. After taking answers from 1,614 business leaders, Fujitsu said 89 per cent of businesses are already in the process of digital transformation. From that number, 34 per cent have 'already had' positive outcomes, signalling that other businesses are expecting similar results in the future, as well. 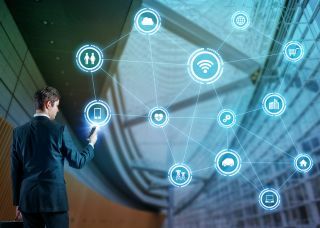 Digital transformation has had the biggest effects on three areas: revenue (46 per cent), improving of customer relationships (44 per cent) and offering more competitive products (36 per cent). Finance and insurance (51 per cent), healthcare (51 per cent) and manufacturing are the three industries that seen the biggest impact of digital transformation. In terms of functional areas, marketing, workstyle, and operations and maintenance are the top three. However, having a successful digital transformation initiative is not an easy task. Having skilful workers, strong leadership and streamlined organisation processes are essential. “To successfully carry out digital transformation, it is necessary to co-create with technology partners having technological capability as well as understanding of business and alignment with the vision and strategy,” the report states. Digital transformation revolves around using new digital technologies to improve a business. Biggest initiatives are around Artificial Intelligence (AI), and the Internet of Things (IoT). More details about Fujitsu’s report can be found on this link.